Smile Designs Dentistry specializes in providing comprehensive dentistry & service that is second to none! We believe in Life Changing Dentistry and will always provide the services you want for your optimal health, wellness and appearance. 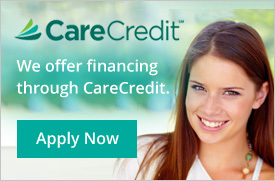 We Offer No Interest Payment Plans… Flexible and Affordable Financing Options. Contact us for more information as we are here to help! We ensure you pay as little as possible for all your services! We are located on the 2nd floor of the building.